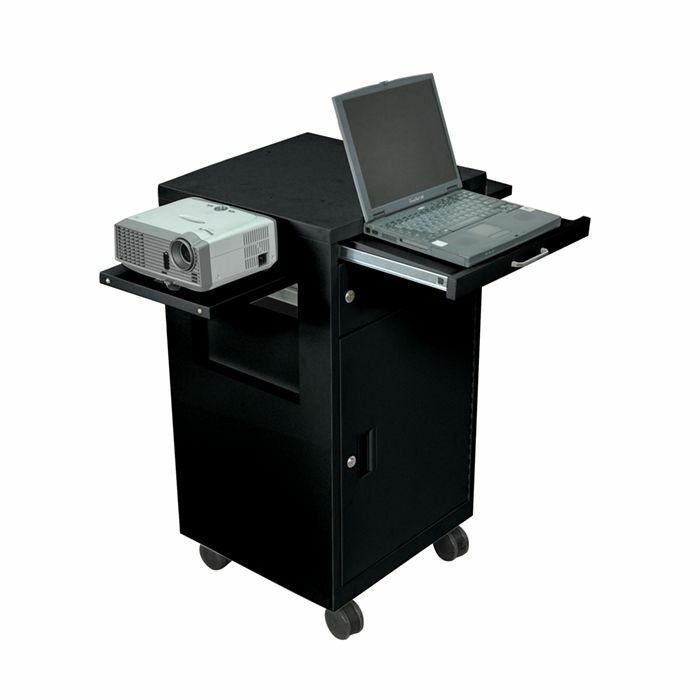 The Luxor Multimedia Cart with Locking Cabinet is a rugged and dependable rolling station for various audio-visual uses. The pull-out drawer can hold a laptop or support papers as needed. 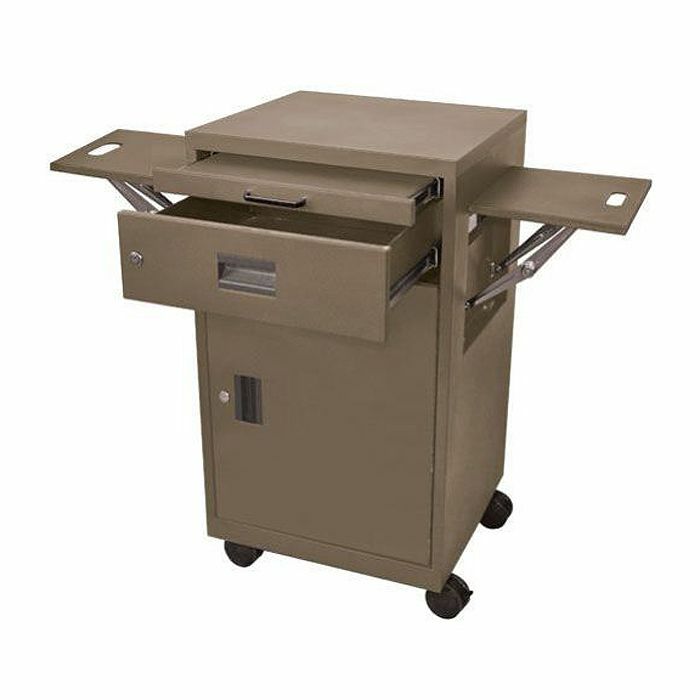 In addition, the cart has two flip-up shelves - one on each side that can also hold collateral material. Finally, the locking cabinet and drawer provide additional security. The Luxor Multimedia Cart with Locking Cabinet is a rugged and dependable rolling station for various audio-visual uses. 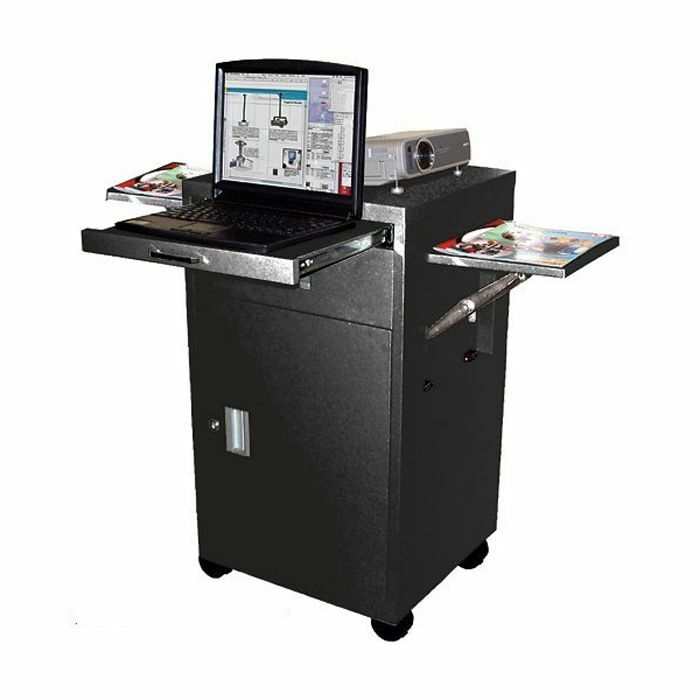 The pull-out drawer can hold a laptop or support papers as needed. 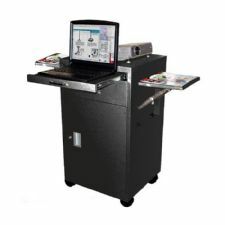 In addition, the cart has two flip-up shelves - one on each side that can also hold collateral material. Finally, the locking cabinet and drawer provide additional security.